In context: The Apple I computer is an iconic piece of history for modern computing. As the supply of working models dwindles, there may not be many more of these legendary systems available. In a cubicle at HP and a modest apartment being rented in Cupertino, California, Steve Wozniak hand-soldered numerous circuit boards that would eventually become the Apple I computer. Offered as a freely available design to the Homebrew Computer Club in Silicon Valley, word got out about the quality of work and shear impressiveness of a big board full of working components. Apple was founded, but it was not until three months after its inception that Steve Jobs actually saw Wozniak's design. Paul Terrell became the first customer of the Apple I when he agreed to purchase completed boards for The Byte Shop in Palo Alto. Only 200 Apple I computers were ever fully built. Fast forward to present day and there are only around 60 known Apple I computers still in good condition. Out of those 60, around 15 are actually working. 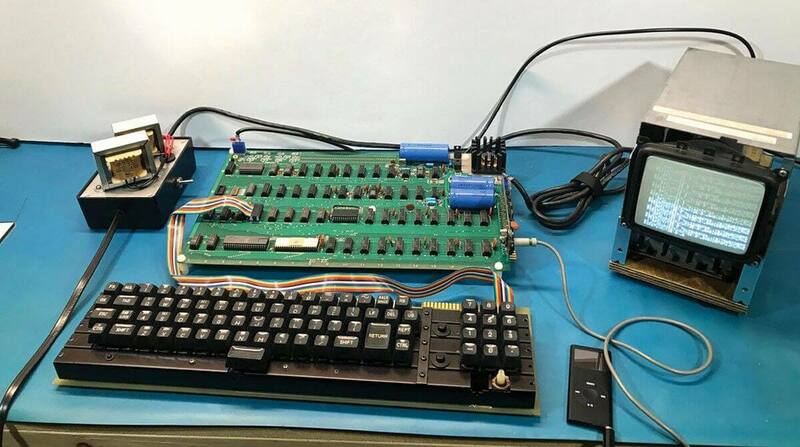 There is one fully functional and unmodified Apple I computer headed to auction on September 25. Bids are expected to surpass $300,000 for the iconic machine. An original user manual with hand written notes is also said to be included in the auction. Additionally, two Apple Cassette Interface manuals with original cassette interface are included. The machine in question was originally purchased in either late 1976 or early 1977 for $666.66 but was then subsequently sold approximately a year later for just $300. The current owner claims he attempted to sell it back to Steve Wozniak in 1982 for $10,000 but never received a response to his offer. RR auction has worked with Apple I expert Corey Cohen to give the system an 8.5 rating. Another Apple I that was protected under a glass cover for most of its life received a 9.5. The near perfect machine sold for $905,000 in 2014 to the Henry Ford museum.